Xian Lim reveals why he did not feel jealous of Gerald Anderson renewed working relationship with Kim Chiu. He was also quick to assure Push.com.ph and other entertainment media that there’s no awkwardness between him and Gerald. “Pero me and Gerald, we're friends. Wala kaming [issue] ni Gerald. We’re good friends. Sabay nga kami nag skydiving. Sila nga nag-push sa akin e [na i-try yung activity na yun],” referring to their side trip during Star Magic’s U.S. tour early in November. 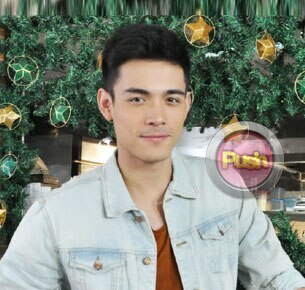 At the end of the interview, Xian did not forget to thank all the viewers who never fail to promote Ina Kapatid Anak through the social media. “Nakakatuwa. Thanks sa lahat, sa tweets, sa status nila. Nakikita ko tuwang-tuwa sila just to see the story unfold. Talagang tutok sila,” he finally stated.